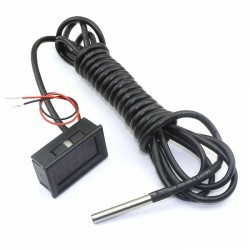 It is a Digital Thermometer,Measuring temperature -55 to 125°c, Power Supply DC7-30V, it has Reverse.. 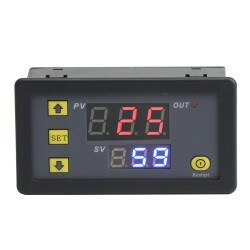 It is a Digital Timer Relay Switch Board, Power supply: DC 5V, Timing range: 0 ~ 999S/ 0 ~ 999M/ .. It is a Red/Blue/Green LED Digital Ammeter,Power Supply DC 4.5-30V ,Measuring Range DC 0-50.0A, It has small size, high efficiency, long term stable and reliable quality,easy installation and use,Applied to the: industrial equipments,electronic equipment,Motorcycle, Car, E-bike, ATV, Scooter,Battery,Electromobile ,and All kinds Current Measuring. Application: industrial equipments,electronic equipment,Motorcycle, Car, E-bike, ATV, Scooter,Battery,Electromobile ,and All kinds Current Measuring.